Here are some pics of some Saurus Scar Veterans. 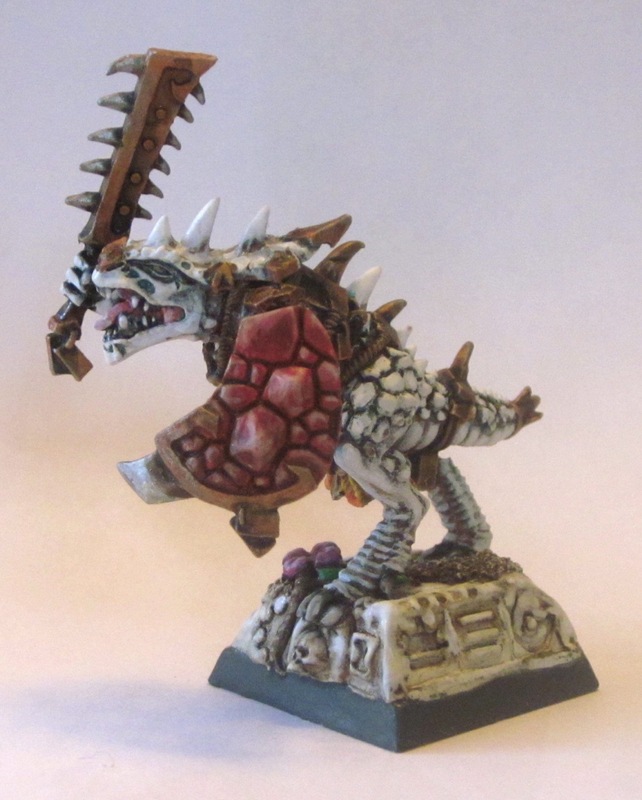 Next is my Limited-Edition Saurus BSB that I won't be using, but that looks pretty. 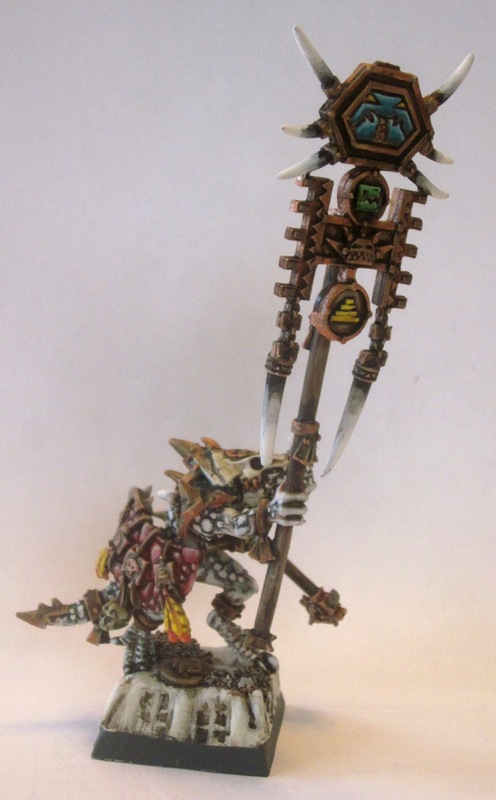 I gave him a shield (slung over his back) and added a couple horns/tusks to the bottom of the dangly bits of the standard. 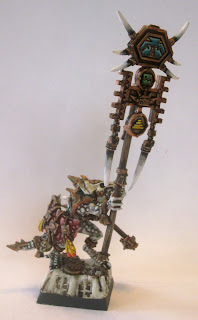 Finally a WiP shot of my mounted Scar Vet BSB. Body is the champion model from the old metal Saurus Cavalry models with an extra back plate green-stuffed on to make him look more armored..\ Right arm is a Temple Guard Champ arm with some bits added to the top of the halberd to make it look even bigger (great weapon). 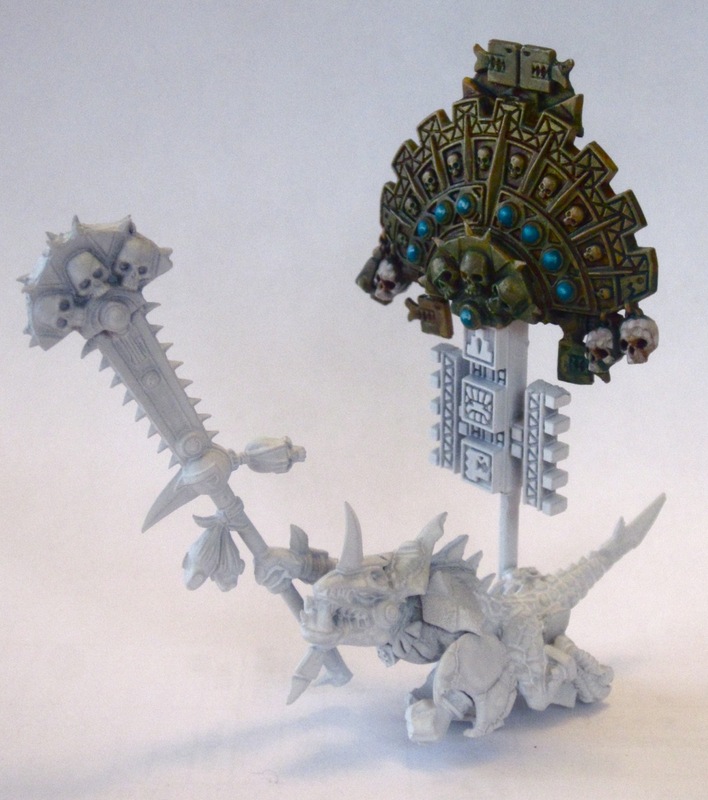 The head was removed and a Temple Guard head (crest removed) stuck on, with some green stuff work to blend the head in with the back of the crest that was still on the body (extended the dino-skull helm back). 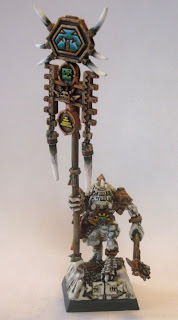 Left arm is from the Saurus Warrior sprue. The banner is made from some bits from the Stegadon and Temple Guard sprues. The top part is already painted because it was part of another BSB model that I scrapped. It's not glued on at the moment.